FULTON, NY – Catholic Charities of Oswego County’s Community Services treated residents of the Fulton Mill Apartments to an ice cream social. 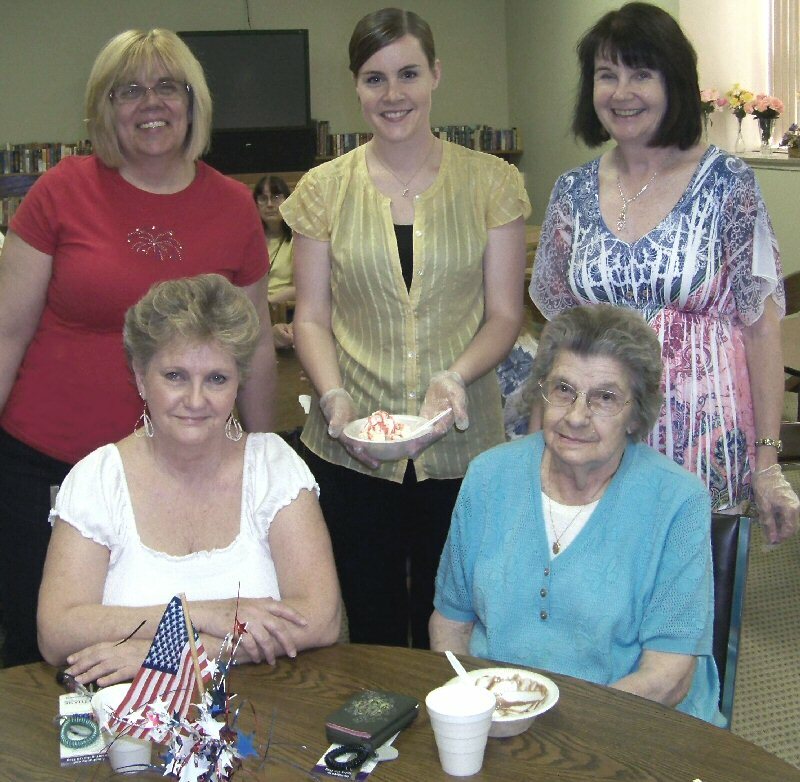 Held in honor of Flag Day, residents enjoyed ice cream sundaes complete with red, white and blue sprinkles. Standing from left are: Helen Hoefer, supervisor of Community Services for Catholic Charities of Oswego County; Kathleen Casey, volunteer; and Ann Casey, resident services coordinator at Fulton Mill Apartments. Seated from left are residents, Marjorie Foil and Donna Avery.